City contractors have completely weed whacked “Fox Farmette” to oblivion so nothing is growing there right now except a few sweet clover and garlic plants. 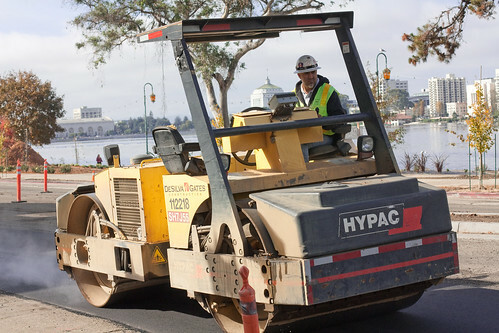 Measure DD – Lake Merritt 12-lane highway deconstruction project begins! 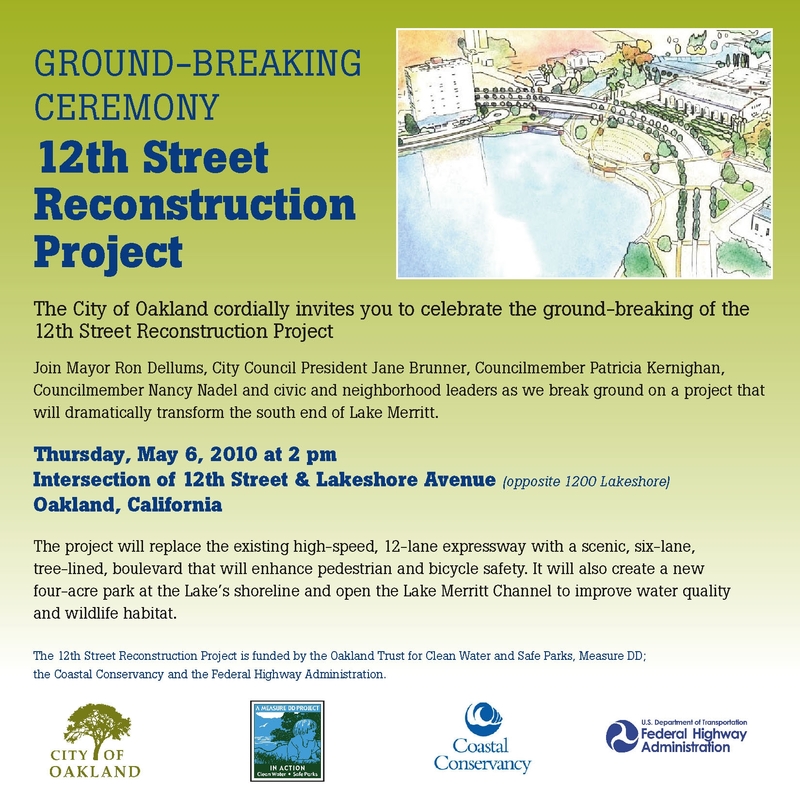 According to this flyer, city politicians broke ground on new, better car + ped/bike bridge with kayak access to the Alameda estuary. Nice work. Any word on a target completion year? Looks like at least a 2-3 year project to me. Also curious when the new East Span of the Bay Bridge will be completed. No info on that on the official baybridge.info site. Here are some snaps from the past few weeks. In today’s SJMerc, columnist Tammerlin Drummond reflects on our new OPD Chief after the unveiling of his 5-year strategy last week. Mainly, Chief Batts won’t give up trying to improve Oakland policing and community engagement without a good attempt. Anyone would applaud that. Then Chief Batts says something odd. He wants to “start a foundation” to support OPD’s mission and better the city. Captain Obvious: Lake Merritt is our GGP! Keeping Lake Merritt firmly ensconced in a brand new asphalt setting (or “collet” if you are British) will keep our aqueous Jewel looking shiny and welcoming for quite some time. The city’s Public Works department has also repaved the walking paths around the south side of the lake. Completing the makeover, with the new Lake Chalet finally open, the Lake now has its own upscale eatery.